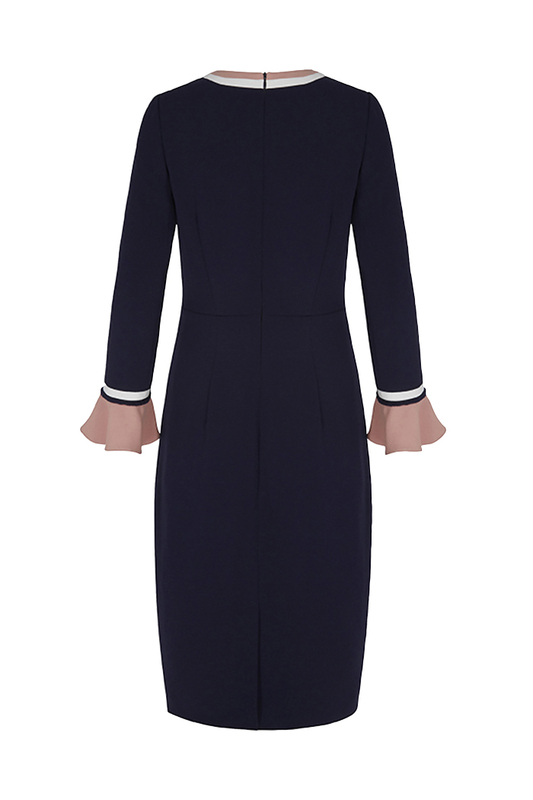 Contrasting fluted cuffs elevate this standout navy dress. 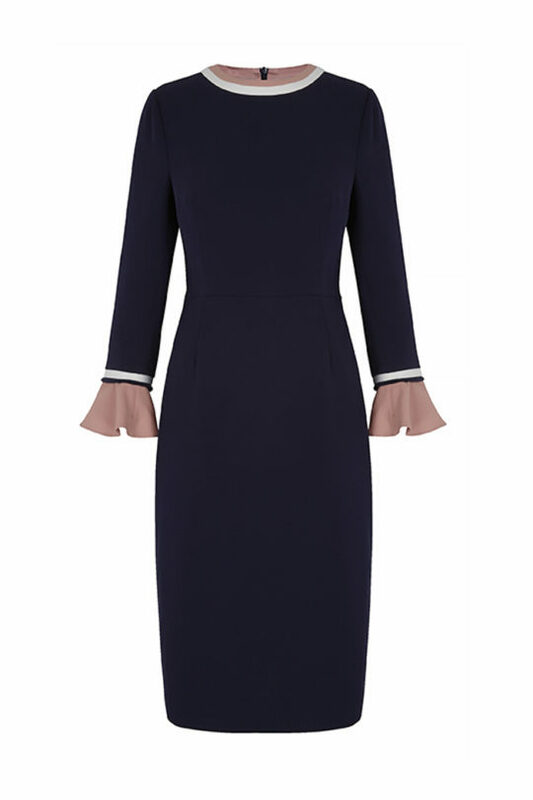 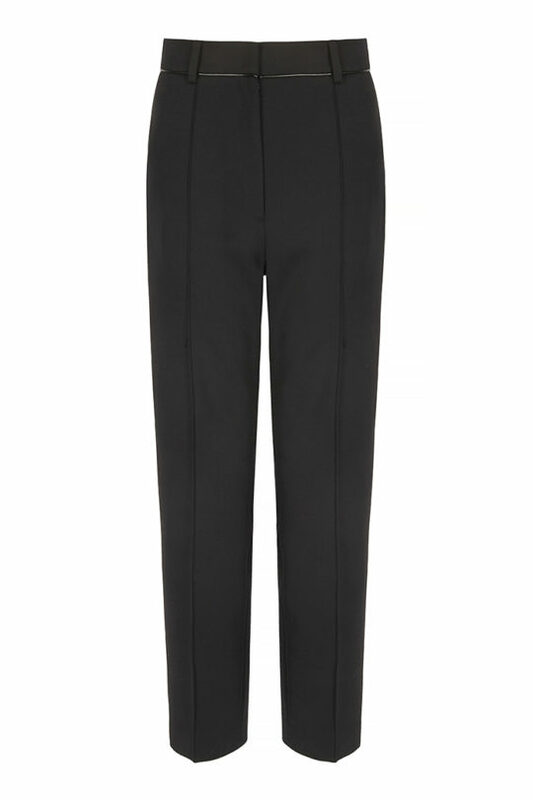 The knee-skimming Rosnaree dress is cut from navy Japanese satin-back crepe, enhanced by a sculpting seamed waist. 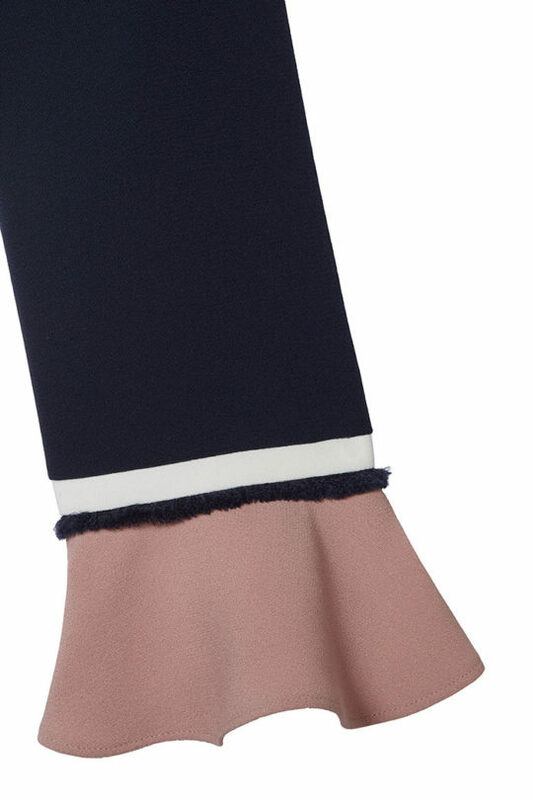 Bracelet-length sleeves are finished with a buoyant ruffled cuff in eye-catching blush pink, complemented by an ivory trim. 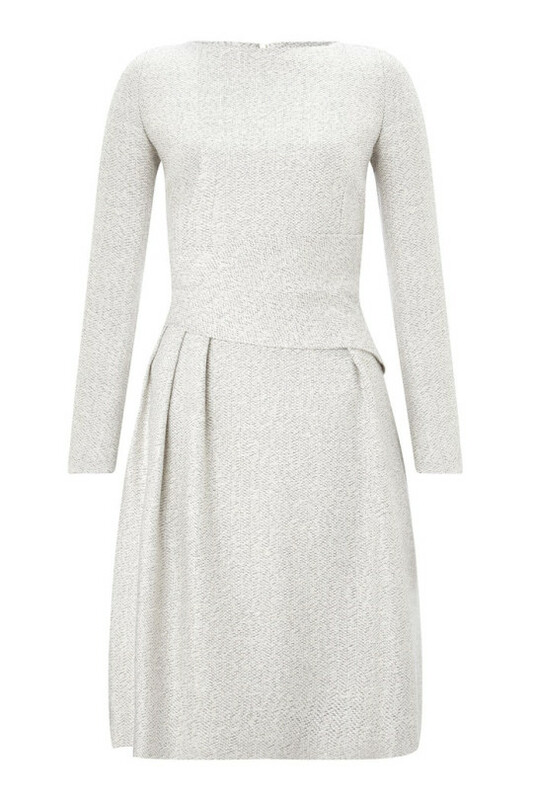 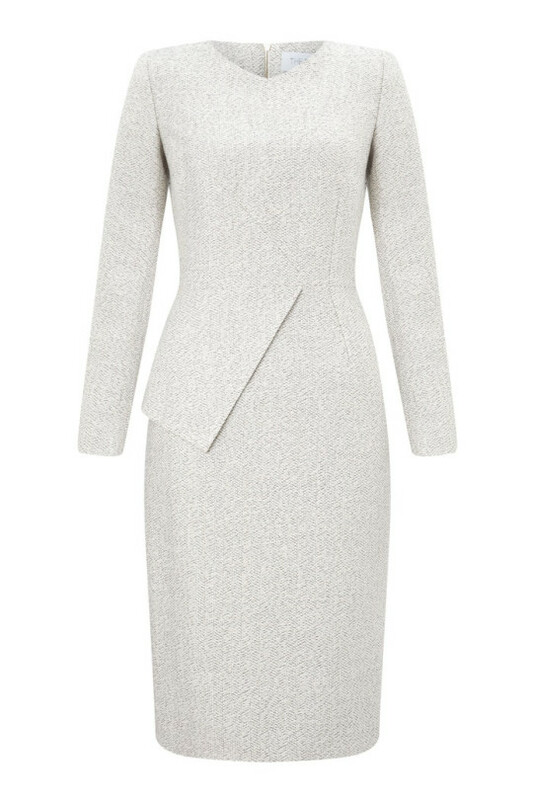 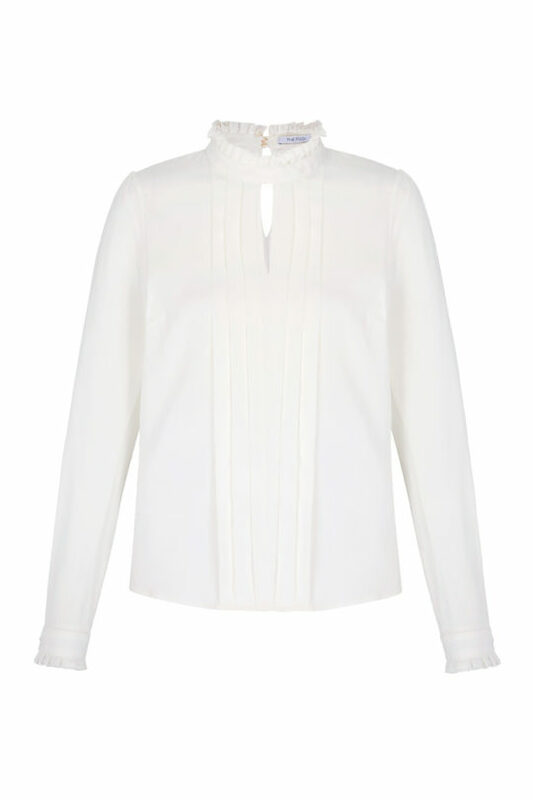 Slip on this flattering style for instant workday confidence.